Contact details and registration history for the First People of Millewa-Mallee Aboriginal Corporation Registered Aboriginal Party. 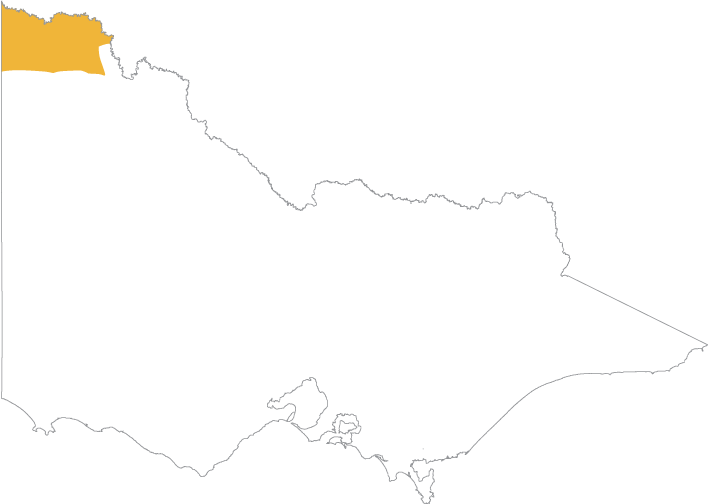 The First People of the Millewa-Mallee Aboriginal Corporation (FPMMAC) are the Traditional Owners of Country in the north west of Victoria that runs south of the Murray River to the Mallee Highway, and west from the Calder Highway to the South Australian border, including the Murray-Sunset National Park. You can also view an online map showing all Registered Aboriginal Party boundaries in Victoria. The map works best in Chrome.